The U.S. Capital attracts millions of visitors each year to its famed statues and memorials. 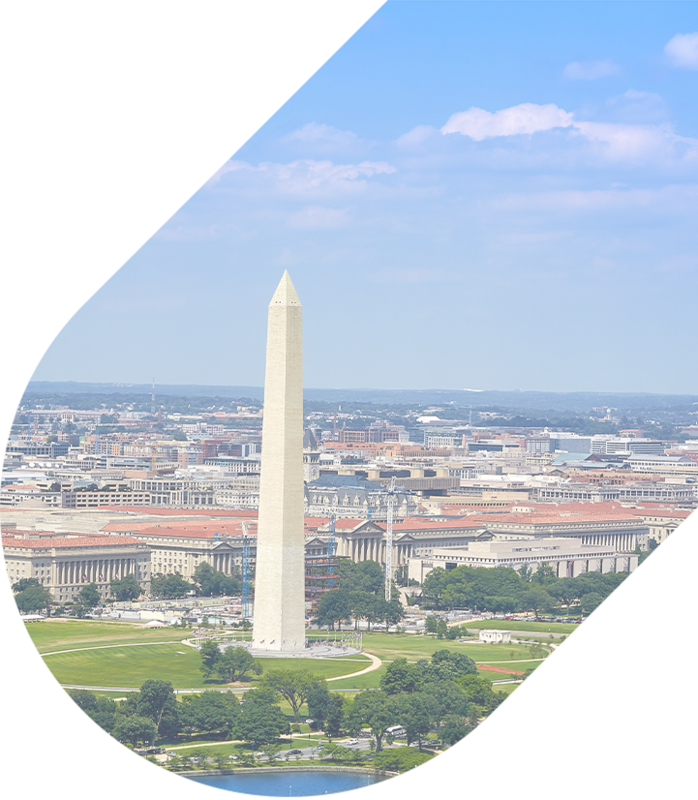 Families and school groups from all over the world head to Washington D.C. for its extensive network of monuments and landmarks surrounding the Capitol Building and Washington Monument. It’s important to plan ahead and determine which historic exhibitions and museums are considered “must-see” stops for your group, since the Washington Historic District has a lot to offer a young crowd. All of these spectacular attractions make the city well-worth visiting and exploring; however, traveling in tour groups can present a lot of unique challenges, so many organized groups choose a private transportation solution to simplify travel logistics. National Charter Bus makes transporting tour groups to the U.S. Capital simple. Due to the city’s limited parking, it can be difficult to arrange group transportation from pick up to drop off. However, when you rent a personal travel method, such as a charter bus, your group can be dropped off directly in front of the Capitol while we handle all the rest from city navigation to parking hassles. Your private driver will then be able to shuttle all attendees to and from their hotels throughout the day. Sit back and relax as a private shuttle streamlines your group of sightseers, teachers, students, or chaperones along any route in the capital city. Rather than traveling in a traditional school bus, passengers can sit back and relax in plush, reclining seats and climate-controlled cabins. No matter the size of your school group, we’ll pair you with the best transportation option for your trip. The buses we charter range from minibuses accommodating 18 to 25 passengers or charter buses that can transport up to 56 passengers. From your initial contact to your return ride home, our team will assist you throughout the entire planning process. It’s important to invest in a custom ride tailored to your group’s needs. Your ride will come equipped with your own selection of comfortable amenities based on your travel style and budget. Our models include amenities like TV monitors, WiFi, restrooms, and adjustable luggage space, so your bus can be outfitted with everything your group needs for a comfortable, relaxing bus ride. That way, long-distance travelers can watch their favorite movies on their way to a school field trip, sports teams and fans can stow their personal belongings on their way into town, and corporate members can check emails as they travel to conferences. 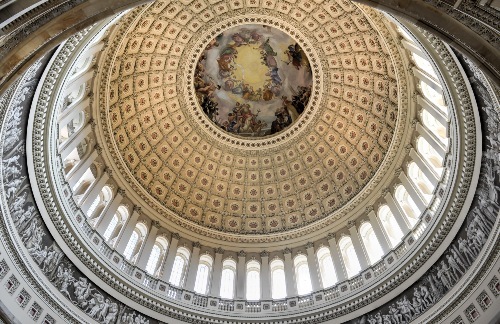 All visitor tours of the Capitol are guided tours and will require you to show up to your scheduled tour early. Since there is limited wiggle room when planning with a tour guide at the Capitol Visitor Center, setting up a reliable ride there and back is a good way to ensure your trip runs smoothly. The Capitol Visitor Center is also a part of the full experience as it provides a whole new list of fun things to do-- and it gets even better! All tours, programs, and activities are free of charge. 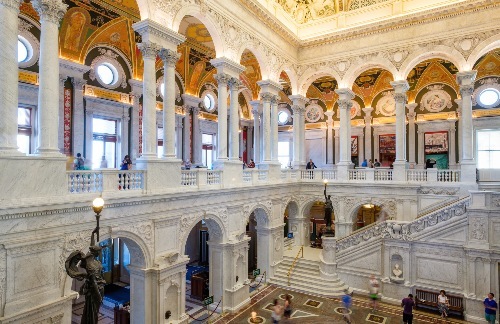 From exploring the beautifully decorated Halls of the Senate to getting to know the story of the Freedom Fighters in the Capitol Collection, you won’t want to miss anything. The center also hosts many other special activities in recognition of historical events that have taken place there. Forget road closures, hectic traffic, and reserved parking fees when your bus rental can drop you off directly at Washington’s top monuments and museums. National Charter Bus works with groups of all sizes to put together a fleet of coaches perfect for every traveling group. Spacious luggage bays and extra legroom leave plenty of storage space for a comfortable ride with all school equipment safely tucked away under your bus. Whether you’re a small church group or a large university class, we’ve got exactly what you need to get to your next Washington, D.C. destination in style. You can receive personalized bus travel without having to make dozens of phone calls or coordinate multiple vendors. We’ll handle everything, from your booking process to ensuring your drivers arrive prepared and on time. Explore the icons of the Nation’s Capital with your itinerary on-hand, luggage nearby, and camera within reach. Follow along with our list of the most frequented sites and attractions as you wander Washington's best with ease. What better way to enjoy the U.S. Capitol than to see a real-life Congress session? We recommend you reserve a tour date and time in advance as the ticket lines are longer during peak travel seasons. Groups can even book a staff-led tour through the office of your state’s representative or senator. You’ll feel like a part of the United States council in no time! Plan a picnic before wandering the monument and let the kids run around the Lincoln Memorial Reflecting Pool. Marvel at the symbolic obelisk towering over the National Mall and take a stand in honoring America’s first president. Camp out on the lawn for lunch as you plan to mark off the best on your Washington bucket list, and we’ll make the rest easy! Take a self-guided tour of “America’s Temple of Justice” or walk around the most popular historic spaces in the building. 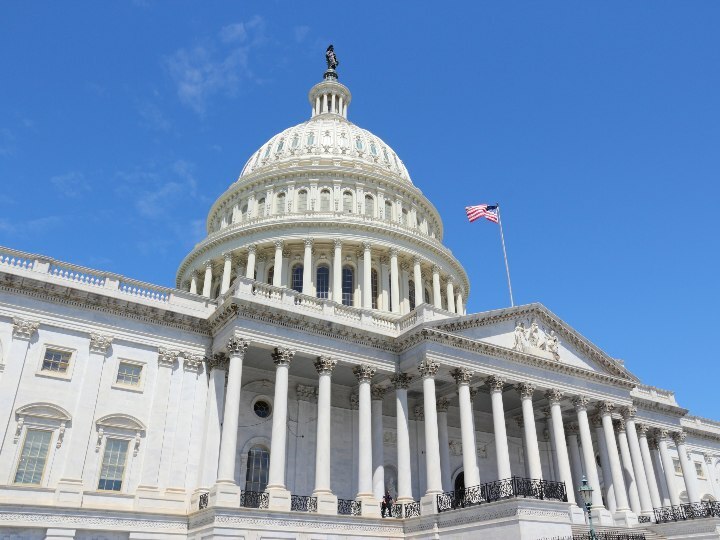 Witness courtroom lectures or Supreme Court cases in action before visiting the US Capitol and the Library of Congress or marveling at its many exhibitions. Exhibits in the Supreme Court include memorandums to the rise of women attorneys, 150 years of group photographs, judicial portraits, and an ode to the first woman on the Supreme Court. Ready to be awestruck by the Piccirilli brothers’ grand marble carving of our nation’s sixteenth president, Abraham Lincoln? This iconic marble statue is meant to honor his legacy by portraying his two leading qualities: his strength and his compassionate nature. Your eye may then be drawn to wander the chamber of our nation’s famed memorial to Abraham Lincoln. With National Charter Bus, you set the itinerary, and we set the expectations for excellent charter bus services at the best price. Our simple booking process and friendly reservation agents make it our mission to make trip planning a smooth, enjoyable experience. We’re looking forward to helping you plan your dream trip from start to finish. Give us a call today at 202-250-3441 to secure the transportation for your next trip! With our team on-call 24 hours a day, the best of Washington is only one phone call away. Where to next? If you want to hop on a bus over to the next city, we'll bus you to and from nearby cities such as New York, Chicago, Philadelphia, Jersey City, Newark, Boston, or New Haven.